However, five minutes after the event began, Black Lives Matter protestors started shouting loud enough to prevent the ACLU from being heard. The ACLU suggested that both Black Lives Matter and the ACLU be allowed to speak. But the Black Lives Matter protestors would not allow the ACLU to be heard. After 30 minutes of not being allowed to speak, the ACLU canceled the event. October 7, 2017. Tags: ACLU, Black lives matter, Censorship, Free speech, Liberalism is white supremacy, Politics, Racism, Social justice warriors. Black lives matter, Racism, Social justice warriors. Leave a comment. A South Dakota state lawmaker shared a meme to Facebook showing a car driving through a line of protesters with the caption “all lives splatter” Sept. 7 before deleting it Tuesday and apologizing. 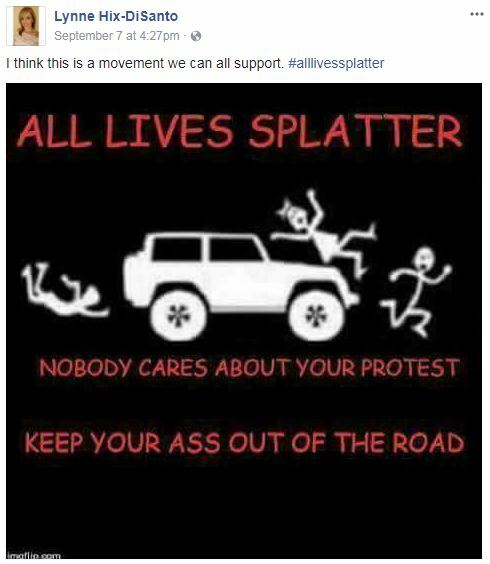 Republican state Rep. Lynne DiSanto posted the meme, saying, “I think this is a movement we can all support #AllLivesSplatter.” She later apologized and claimed she had just been encouraging protesters to stay out of the road, after thousands of people criticized her post online and two local businesses cut ties with her, the Argus Leader reported. September 21, 2017. Tags: All Lives Splatter, Black lives matter, Idiots blocking traffic, Politics, Racism, Social justice warriors. Black lives matter, Idiots blocking traffic, Racism, Social justice warriors. Leave a comment. This is the best commentary on black poverty that I have heard or read in my life. The speaker in this video is a child of Nigerian immigrants. She spends the entire seven minutes saying one politically incorrect thing after another. Her basic point is that black poverty is caused by bad behavior, not by racism. And she cites numerous statistics to back this up. For example, she points out that Nigerian-Americans have higher average incomes than whites, and she attributes this to their behavior, including strong commitments to marriage, education, and obeying the law. She says that if Black Lives Matter truly cared about black people, it would tell them to stop having babies out of wedlock. August 3, 2017. Tags: Black lives matter, Economics, Politics, Racism. Black lives matter, Economics, Politics, Racism. 1 comment. After Rudy Giuliani said 93% of black murder victims were murdered by other blacks, the Washington Post said his statement was accurate, but then they gave it two Pinocchios anyway! After Rudy Giuliani said that 93% of black murder victims were murdered by other blacks, the Washington Post said his statement was accurate, but then they gave it two Pinocchios anyway! You can read the Washington Post’s lengthy and ridiculous attempt to justify their two Pinocchio rating for a statement that they admit is accurate here. February 15, 2017. Tags: Black lives matter, Media bias, Politics, Racism, Washington Post. 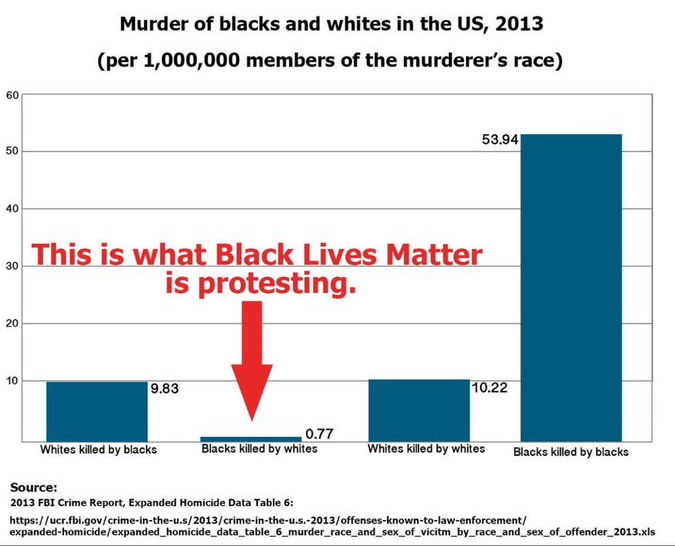 Black lives matter, Media bias, Racism. Leave a comment. February 13, 2017. Tags: Black lives matter, Idiots blocking traffic, Politics, Racism, Social justice, Social justice warriors. Black lives matter, Idiots blocking traffic, Racism, Social justice warriors. Leave a comment. 1) In December 2014, in Berkeley, Missouri, Alvin Henry Jones Jr., 62, died two days after Black Lives Matter protestors blocked an ambulance that was carrying him. 2) In January 2015, in Milton, Massachusettes, Black Lives Matter protestors blocked an ambulance that was carrying Richard McGrath, 82. The protestors chained themselves to barrels full of concrete to make especially sure that no vehicles could get by. In February 2016, after 10 of the protestors pled guilty to “willfully impending an emergency vehicle,” and were sentenced to six months of probation and 60 hours of community service, their spokesperson said that they were not sorry for what they had done. 3) In July 2016, in Memphis, Tennessee, Black Lives Matter protestors blocked an ambulance that was trying to get to a child, after the same Black Lives Matter protestors had blocked the same child’s parents’ car from taking him to the hospital. 5) In February 2017, in Hew Haven, Connecticut, anti-Trump protestors blocked an ambulance that was carrying a critically ill patient. Because of this, the EMTs had to perform an emergency medical procedure on the patient in the ambulance, instead of it being performed by doctors at the hospital. The lawyer for these protestors said it was not their fault that they blocked the ambulance, because the police did not tell them about the ambulance. February 6, 2017. Tags: Black lives matter, DisruptJ20, Donald Trump, Idiots blocking traffic, Racism, Social justice warriors. Black lives matter, Donald Trump, Idiots blocking traffic, Racism, Social justice warriors. 1 comment. The fact that abolishing private property has been a total failure in each and every country where it has been tried, and has led to nothing but misery, poverty, hunger, famine, empty shelves in stores, dictatorship, oppression, censorship, political imprisonment, and a shortage of toilet paper, the crowd cheers as this Black Lives Matter activist calls for the U.S. to do the very same thing. January 31, 2017. Tags: Black lives matter, Communism, DisruptJ20, Donald Trump, Marxism, Racism, Social justice, Social justice warriors. Black lives matter, Communism, Racism, Social justice warriors. 2 comments. January 27, 2017. Tags: Black lives matter, Donald Trump, Racism, Social justice warriors, Violent crime. Black lives matter, Donald Trump, Racism, Social justice warriors, Violent crime. 1 comment. Shame on CNN for deceptively editing footage from Milwaukee! CNN has deceptively edited footage to make it falsely seem like someone said the exact opposite of what they actually said. However, CNN edited out the bolded part. 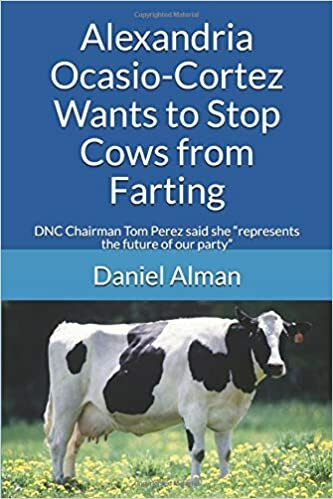 In addition, CNN reporter Ana Cabrera falsely said that Ms. Smith was “calling for peace,” which is the exact opposite of what she was actually doing, which is that she was calling for people to commit arson. August 17, 2016. Tags: Black lives matter, Media bias, Milwaukee, Milwaukee riots, News, Politics, Racism, Sylville Smith, Wisconsin. Black lives matter, Media bias, Racism. 7 comments. How sad. This guy from Milwaukee doesn’t seem familiar with the concept of earning money. A guy who has lived in Milwaukee, Wisconsin his entire life complains that rich people aren’t giving money to poor people. I feel so sad for this guy. Apparently, it never occurred to him that a person could obtain money by obtaining education and job skills and earning the money. Who taught him to think the way he does? Was it his parents? Was it his teachers? Whoever it was that taught him to think like this, they were wrong. I hope for this young man’s sake that he will eventually come to realize that what these people taught him was wrong. August 15, 2016. Tags: Black lives matter, Communism, Economics, Income inequality, Milwaukee, News, Politics, Racism, Socialism, Sylville Smith. Black lives matter, Economics, Racism. 6 comments. August 1, 2016. Tags: Barack Obama, Black Fathers Matter, Black lives matter, Black power, Black rights, Economics, Income inequality, Obama, Politics, Poverty, Racial justice, Racism, Social justice. Black lives matter, Economics, Politics, Racism. Leave a comment. July 19, 2016. Tags: Black lives matter, Racism. Black lives matter, Idiots blocking traffic, Racism. 1 comment. According to this report from WREG, this report from WMC, this report from WIS, and this report from NBC, on July 11, 2016, in Memphis, Tennessee, Black Lives Matter protestors blocked an ambulance that was trying to get to a child, after the same Black Lives Matter protestors had blocked the same child’s parents’ car from taking him to the hospital. How did snopes manage to do this? By adding on false information to the original story, such as the false claim that the child needed a “heart transplant,” as well as the false claim that the child had “expired.” Those claims were, indeed, false. But no reliable source ever made those claims in the first place. For snopes to label the entire incident as a “total falsehood” is to say that the entire incident never happened. And that claim by snopes is the real falsehood. July 19, 2016. 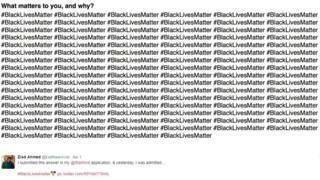 Tags: Black lives matter, Media bias, snopes. Black lives matter, Idiots blocking traffic, Media bias. 8 comments. Notice in the video how, even though the ambulance’s emergency sirens are blaring, the Black Lives Matter protestors deliberately move themselves so they can be directly in front of the ambulance to prevent it from taking a patient to the hospital. It would be quite ironic if the patient turned out to be black, and he or she ended up dying as a result of these Black Lives Matter protestors. Why does Black Lives Matter repeatedly prevent sick people from getting to the hospital? July 19, 2016. Tags: Black lives matter, Racism. Black lives matter, Idiots blocking traffic, Racism. Leave a comment. First, a patient died because Black Lives Matter prevented an ambulance from taking him to the hospital. Afterward, Black Lives Matter continued blocking ambulances from taking sick people to the hospital. Memphis, TN (WMC) – The Memphis Black Lives Matter rally shut down the I-40 bridge Sunday night with hundreds of protesters refusing to leave. Traffic could not go across, but paramedic Bobby Harrell with Crittenden EMS was determined to get to a child who was stuck on the bridge with his family. Then from I-55, they headed to Le Bonheur Children’s hospital. Harrell said he knew about the protest on the bridge, so he had a contingency plan to take patients to Arkansas hospitals and fly critical patients to Memphis. He didn’t plan to end up on the bridge. Harrell said he got the child to Le Bonheur just in time. The child’s father stayed with the family’s car and was eventually able to get there. July 13, 2016. Tags: Black lives matter, Liberals, News, Racism, Social justice. Black lives matter, Idiots blocking traffic, Racism. 3 comments. He could receive 20 years in prison for this. If anyone finds a story of “Black Lives Matter” members being angry toward Bowden, or protesting against him, please post a link in the comment section. Thank you. November 23, 2015. Tags: Black lives matter, Emmanuel D. Bowden, Politics, Racism, Saginaw Valley State University, Violent crime. Black lives matter, Politics, Racism, Violent crime. 7 comments.